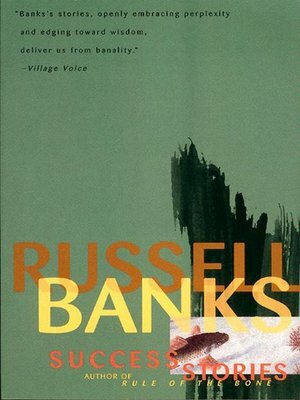 In Sucess Stories, an exceptionally varied yet coherent collection, Russell Banks proves himself one of the most astute and forceful writers in America today. Queen for a Day, Success Story, and Adultery trace fortunes of the Painter family in there pursuit of and retreat from the American dream. Banks also explores the ethos of rampant materialism in a group of contemporary moral fables. The Fish is an evocating parable of faith and greed set in a Southeast Asian village, The Gully tells of the profitability of violence and the ironies of upward mobility in a Latin American shantytown, and Chrildren's Story explores the repressed rage that boils beneath the surface of relationships between parents and children and between citizens of the first and third worlds.